I'm not really a huge shoe person. Some girls go straight to the shoe or jewelry department the second they walk into the store. I walk straight towards the dresses. While I love dresses and really all clothes, shoes are always my second department I hit. With cooler weather coming soon, I'm so excited to pull out some of my warmer shoes. There are some really fun shoe trends for Fall (like mules!) that I am so excited participate in. 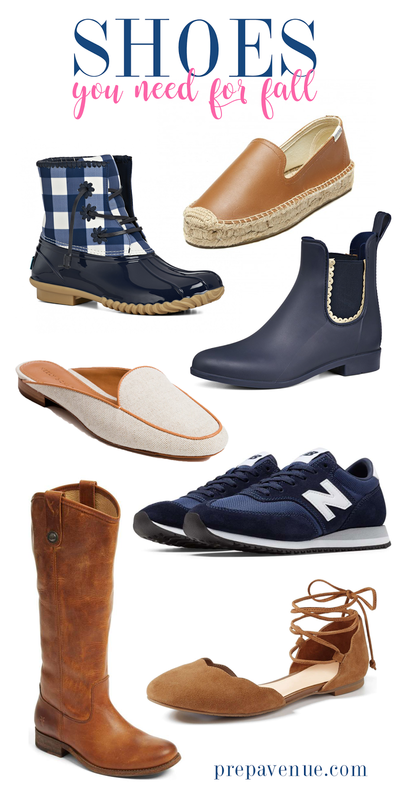 These are just a few of the shoes that are my Fall favorites or that are on my Fall wishlist. 2. Draper James and Jack Rogers collaborated to create an adorable version of the duck boot. 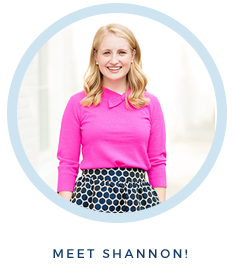 Navy gingham...sign me up. 3. I've been eyeing these Jack Rogers rain booties since they came out. Maybe this is the year to pull the trigger. 4. THESE SLIDES. So classic looking. 5. I've been looking for Navy and White tennis shoes forever and this might be the winning pair. 6. I love the color of these flats and I really love the scalloped detail on the toe. 7. These will forever be my favorite boots. I've worn through the sole of the boot twice now and just continue to have them resoled. These are by far my most worn Fall shoe. the navy chelsea boots are adorable ! Where do you get your boots resoled? ?